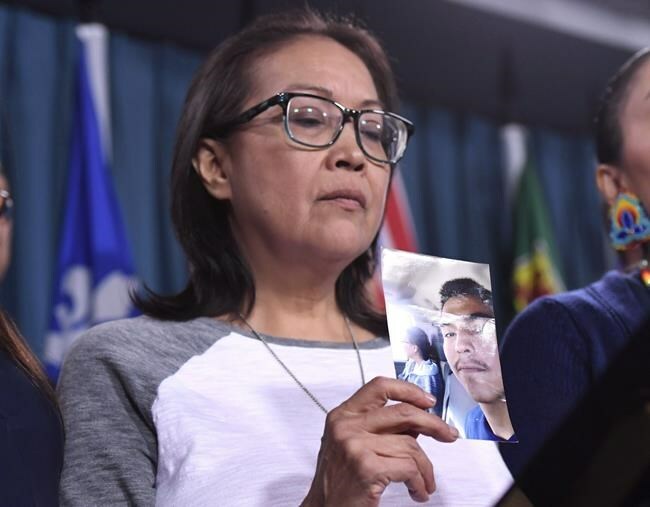 TORONTO — A film examining the case of a young Indigenous man who was killed on a farm in rural Saskatchewan will open this year's Hot Docs festival in Toronto. Organizers say Tasha Hubbard's "nîpawistamâsowin: We Will Stand Up" will make its world premiere at the Hot Docs Canadian International Documentary Festival, which runs April 25 to May 5. The NFB said it's the first film by an Indigenous filmmaker to open Hot Docs, which revealed its full lineup on Tuesday. In Cree, "nîpawistamâsowin" translates to "we (small group) will stand up for others (big group)," a spokeswoman said. Other Canadian films making their world premiere at this year's festival include Phillip Pike's "Our Dance of Revolution," about Toronto's black LGBTQ community. "Prey" by Matt Gallagher is about a sexual-abuse survivor pursuing justice in a case against the Catholic church in Toronto. Also having its world premiere is "Propaganda: The Art of Selling Lies" by Oscar-nominated Toronto filmmaker Larry Weinstein, which looks at the history of the art of persuasion. The festival's Focus On program will feature Canadian filmmaker Julia Ivanova and her retrospective titles as well as the world premiere of her new film "My Dads, My Moms and Me." Previously announced docs in the lineup include "Gordon Lightfoot: If You Could Read My Mind." The Canadian singer-songwriter will also attend the festival. Other guests set to attend include artist, activist and director Ai Weiwei ("The Rest"); biochemist Jennifer Doudna ("Human Nature"); New Brunswick-born Willie O'Ree, who was the first black player to skate in the NHL ("Willie"); and whistleblower Deane Berg along with Dr. Daniel Cramer and Dr. Ami Zota ("Toxic Beauty"). The festival will also have virtual reality and interactive experiences, including the live performance of "Supreme Law," a satirical re-telling of the origins of Canada's Constitution with comedian Jus Reign.